It is no secret that we are night owls in my house. After all it’s well after 2 am and I’m just now getting to typing this out plus I still plan on reading some of my book before I shut my eyes. All that’s to say that a couple weekends ago when I woke up long after the rest of you had enjoyed your breakfast as I did my now morning ritual of pursuing Instagram (addicted I tell you) I started drooling over Kami from No Biggie‘s German Pancakes. I needed them. 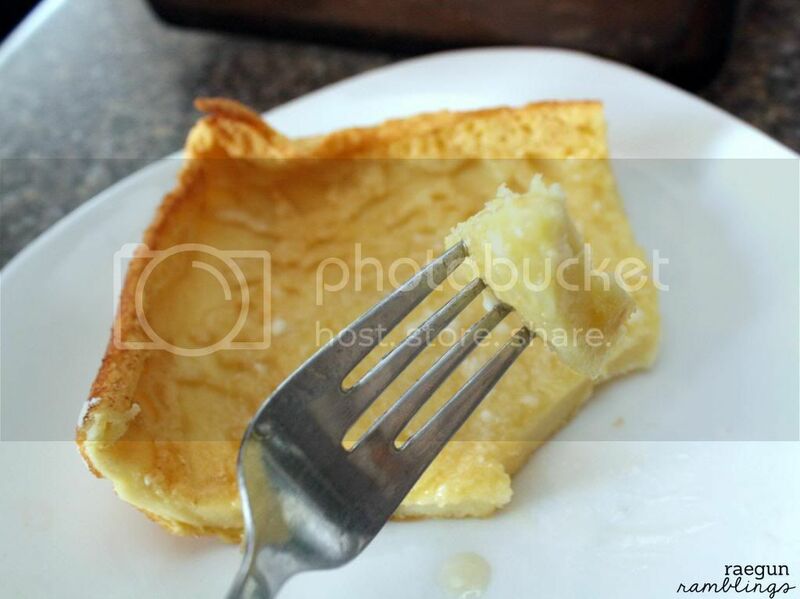 I’ve had a version at The Original Pancake House before but I had never tried to make them myself. My mom was very pessimistic when I called her telling her what I was doing (I guess hers have always deflated on her) so when mine was all poofy and beautiful (not to mention tasty) I was so so excited! Every time I have seen a recipe it seemed like it made a huge amount. Kami’s wasn’t quite as humungo as I have seen but I was still a little unsure about 6 eggs just for the two of us so I did a bit of tweaking and it turned out perfect for two hungry tummies for brunch. 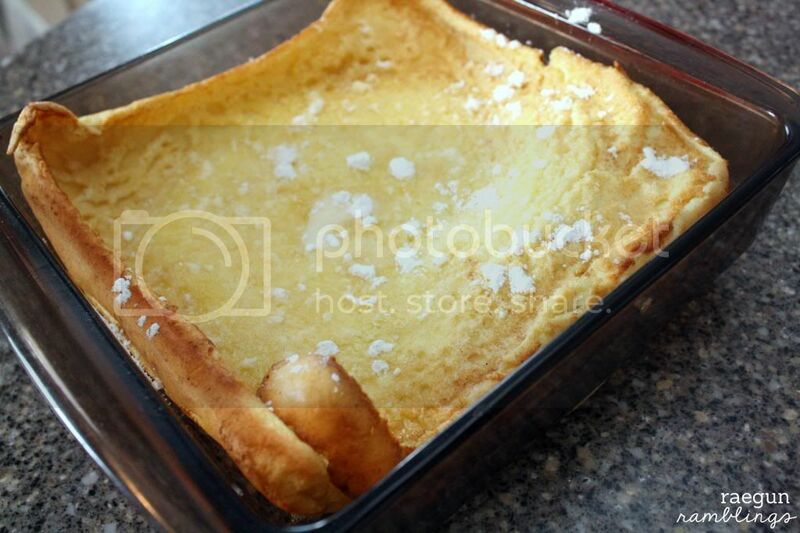 Adapted from No Biggie (I had great success sizing the recipe down so I would think it could be sized up fine) I didn’t try her buttermilk syrup recipe but it sounds delicious! Place butter into hot dish and swirl around so it’s melted and sizzling. 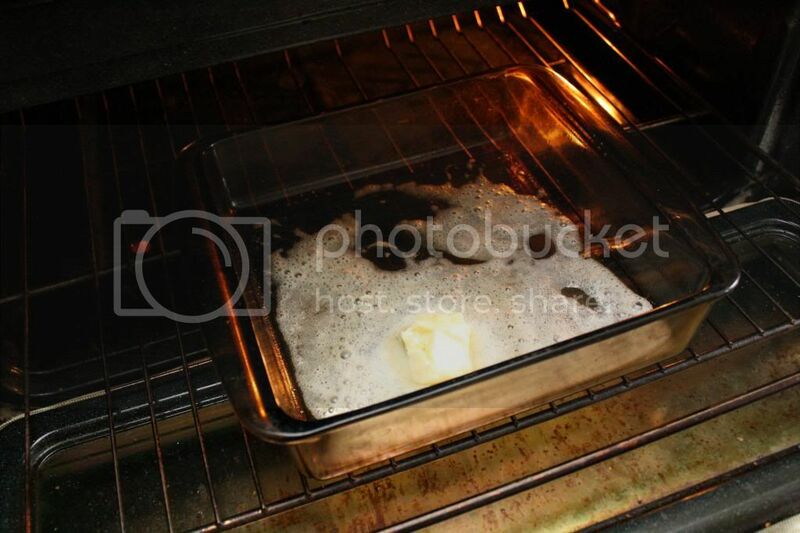 Bake uncovered for 20 minutes at 400F. Pull out of the oven, squeal with delight, post picture bedhead and all on instagram ;) oh I mean eat it and enjoy the deliciousness that was so ridiculously easy you have no idea why you didn’t try to make them sooner. 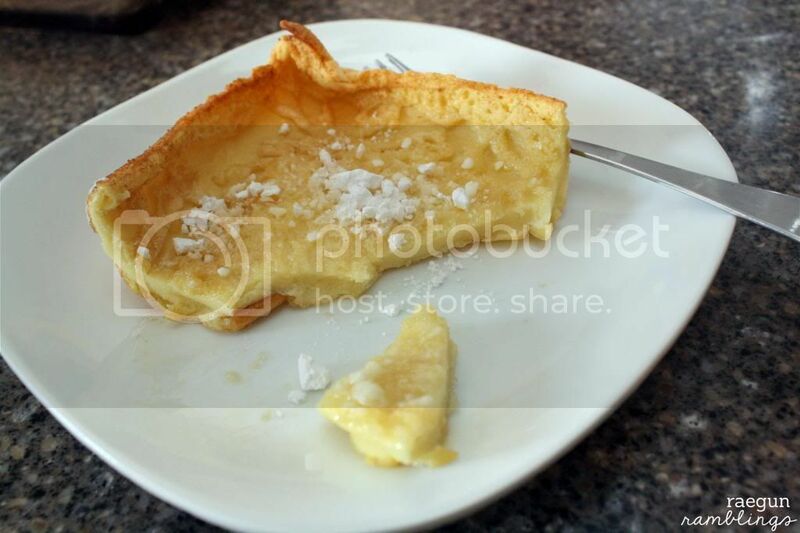 Try it with a squeeze of lemon and some powdered sugar yum! We love these. My family has been making them as long as I can rememvber. My brother in law likes to add sausage and I server mine with homemade peach syrup. oh my gosh peach syrup sounds divine! This is one of our favorite breakfasts! Thanks for sharing. 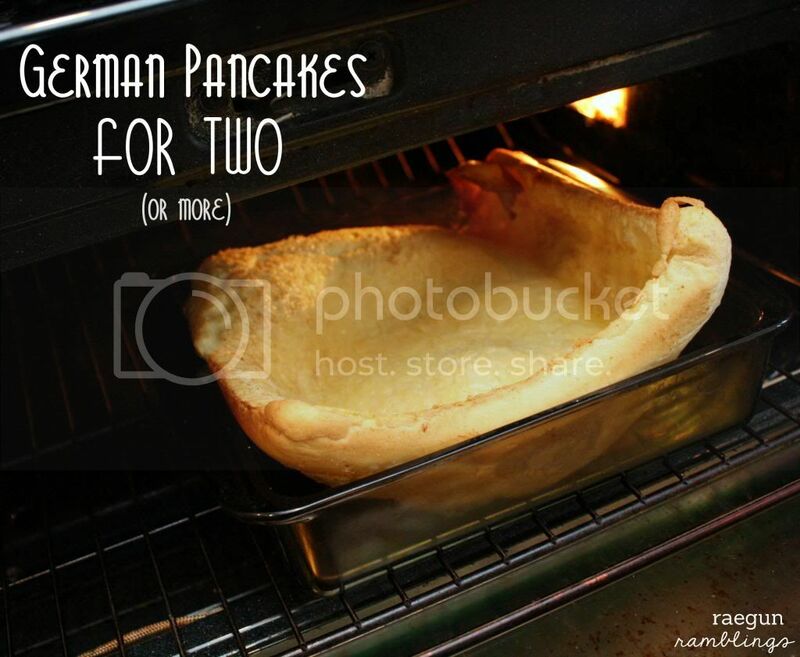 This is so funny… I am from Germany and here we don’t make our pancakes like that. I’m always giggling when I see a recipe like this ;) Does anybody know why they’re called german?? Hi, Hi, Hi, Marisaa.. It has been a while since I have been here since I fell off the blogging world map. 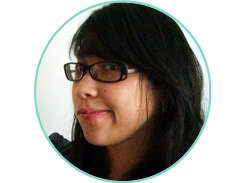 I can’t believe I am still re-discovering blogs I use to follow.. :) So happy to be back here again with you. 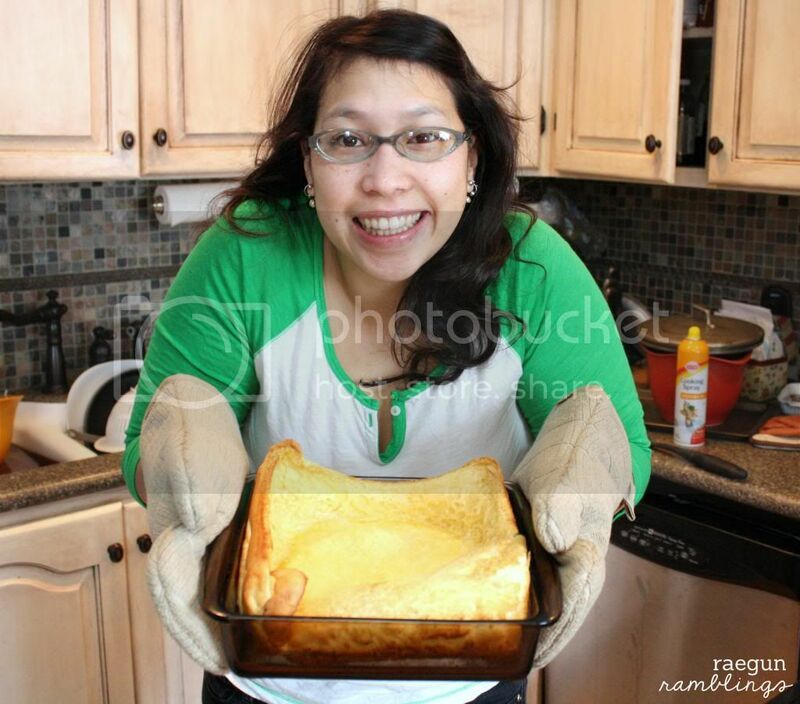 My blog was formerly “Ruby Jean” and is now “JoJo&Eloise”… Your German Pancake looks DELICIOUS!!! UPDATE – my kids (3.5 and 9 months) DEVOURED this. Pinning you so I can make it again!! Thanks! Oh… I have never seen this before! Looks yummy! I will add it to my reading list and try it sometime. Love the bed hair, and the excited face too! Cute! You are so. stinkin’. cute. Seriously…lol. Those look really yummy; glad you shared at Shine on Fridays!